By now, we’re far along enough into Trump’s first term that some equilibrium has returned to late-night programming. We’re no longer guaranteed to see multiple (still mostly male) hand-wringing takes on the latest attempt at a constitutional violation—often made during the president’s morning constitutional—as we settle in for the night. Even Full Frontal With Samantha Bee’s Puerto Rico special focused primarily on the relief efforts and unflappable spirit of our fellow Americans, rather than take the world’s worst public speaker to task once more for his lack of empathy. 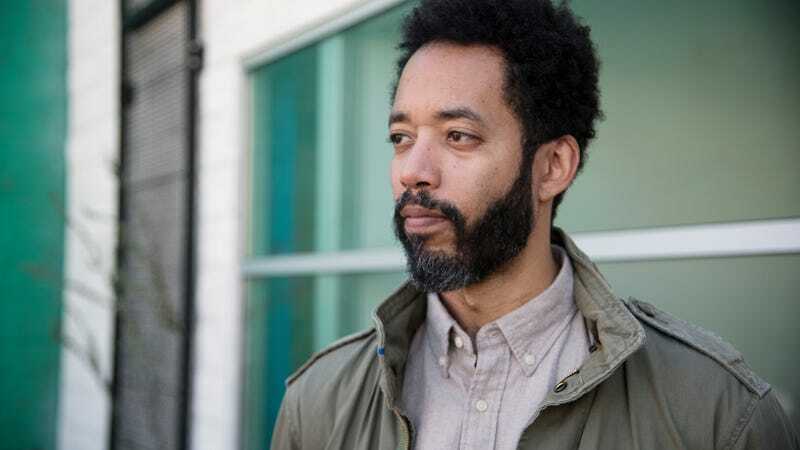 In the first five minutes of the premiere of Wyatt Cenac’s Problem Areas, the host and former Daily Show correspondent declares his new series a (mostly) Trump-free zone. True to his stand-up and fake-newsteam roots, Cenac promises the series, which debuts April 13 on HBO, will be topical. But the actor-comedian’s had his fill of hearing about President Twitter Fingers, and frankly, that particular shitstorm shows no signs of abating. And, as he notes throughout the impressive first half-hour of Problem Areas, America has some preexisting conditions that need to be addressed. That’s an almost solemn mission, but Problem Areas is full of the self-possessed humor Cenac’s honed in his stand-up act and time in front of a Comedy Central green screen. The mid-century decor recalls the kind of chic dens that probably hosted all kinds of counterculture gatherings (and maybe a key party), which lends itself well to Cenac’s genial approach. Watching the show can feel like you’re sitting down for a chat with your informed and similarly left-leaning friend—that is, if your charismatic friend also had a camera crew, a 10-episode order from HBO, and three Emmys for outstanding writing on a variety show. But Cenac’s not interested in preaching to the choir or rehashing liberal talking points. The loose structure of the show—there’s no real monologue, but there are segments and cheeky, animated asides—mirrors Cenac’s desire to map out a blueprint for change. He knows this means there will be a few, if not many, wrong turns and dead ends, but he’s not afraid to admit he doesn’t have all the answers. But Cenac takes a measured approach to that belated Moonraker pitch; he might stand for much of the show, but Problem Areas is no pulpit. As the promotional materials suggest, he’s spitballing solutions to the many, many problems we face. Only the first episode was made available for review ahead of the premiere, but it’s unlikely Cenac will start buying up websites or other people’s debt (though John Oliver is one of his executive producers) down the road. Those overt gestures don’t seem to be Problem Areas’ goals, though who knows what will happen if and when the show starts racking up the renewals. Right now, the docu-series, executive produced by Cenac, Oliver, and Hallie Haglund (and co-written by former Jezebel editor-in-chief Emma Carmichael), wants to get us talking—and listening—to each other on difficult topics, like the fatal shootings of black men like Philando Castile. There are obviously many problem areas, but racially charged shootings is one that Cenac pledges to cover throughout the first season. While introducing the first of many recurring segments, the Brooklyn comedian strolls across the set like his contemporaries at Full Frontal and The Rundown With Robin Thede. But in a telling move, he takes a seat to listen to activist and government officials discuss a viable strategy for police reform. The show recognizes this is a fraught subject, so nothing’s dumbed down or sugarcoated. And though he’s clearly invested in a solution, Cenac doesn’t try to steer the conversation one way or the other. 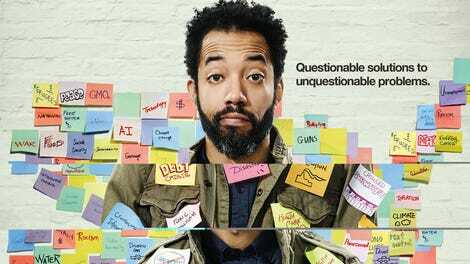 He shows the same curiosity from specials like Brooklyn and his tenure on The Daily Show, but the pointedness of Problem Areas recalls his criminally underseen webseries, Aka Wyatt Cenac. In that Topic show, Cenac played a vigilante who tried to thwart gentrifiers in Brooklyn, a battle that many would view as already lost, but that just made his doomed crusade funnier—and more poignant. Cenac’s new late-night series is, in many ways, a culmination of all those other efforts, but it’s also refreshing and necessary. Cenac is currently one of a handful of black late-night hosts, including Trevor Noah and Desus Nice, and when he and his peer Thede talk about eschewing the subject of Trump it’s because they know there are other dragons that need metaphorical slaying, or at least, identifying—and, as Thede pointed out, black people (black women in particular) did everything they could in 2016 to stop that mess from happening. Like The Rundown, Problem Areas recognizes there’s plenty of discussion—and comedy—to be had far from the White House.